Uprooted: Heartache and Hope in New Hampshire begins with a 30-minute documentary based on interviews collected during the New Hampshire Humanities Fences & Neighbors initiative on immigration which tell the story of five refugees who escaped from war-torn countries to resettle in New Hampshire. The film explores what it means to be a refugee and how it feels to make a new life in a strange place, often without English language skills, family, a job, or community contacts. A post-film discussion led by Dr. John Krueckeberg focuses on questions of belonging and citizenship. What does it mean to be an American? Once a refugee, are you destined always to be a refugee? What are our responsibilities toward one another? Plymouth State University Professor of History John Krueckeberg teaches classes that cover U.S. history from the Civil War through the post-World War II decades. His current research focuses on the life and times of Raymond Swing who spearheaded the founding of the Emergency Rescue Committee, an organization that saved thousands from Nazi-occupied Europe through proving funds, forging documents, presenting U.S. entry visa applications, and smuggling escapees. Some of the more notable individuals who were rescued include: Heinrich Mann, Max Ernst, Hannah Arendt, Marc Chagall, Marcel Duchamp, Jacques Lipchitz, Henri Matisse, and Lion Feuchtwanger. Krueckeberg uses this to give context to current immigration and refugee issues related to the documentary "Uprooted." This program is supported by New Hampshire Humanities, and is free and open to the public. 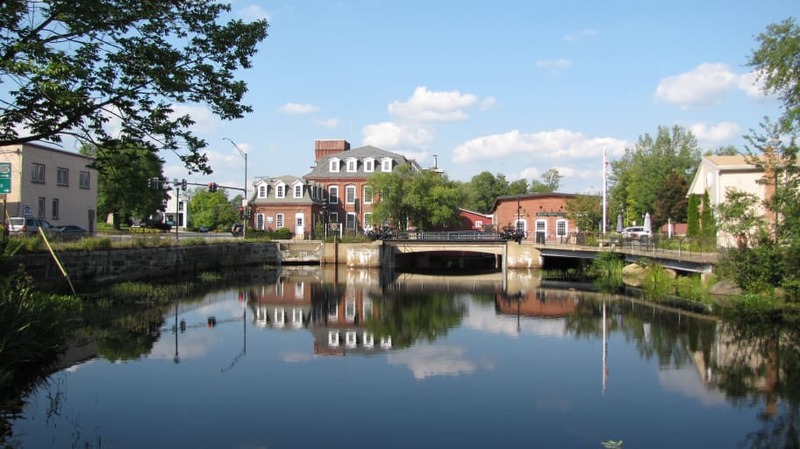 It will be held in the lower level meeting room of the Jaffrey Library which can be accessed from the handicapped entrance on Goodnow Street as well as by stairs from the main floor.